Dawn and Hayes were married at the lovely and historic Greenbrier Resort in White Sulphur Springs, West Virginia. I wanted to start with a pre wedding photograph in our “one moment” post for today. 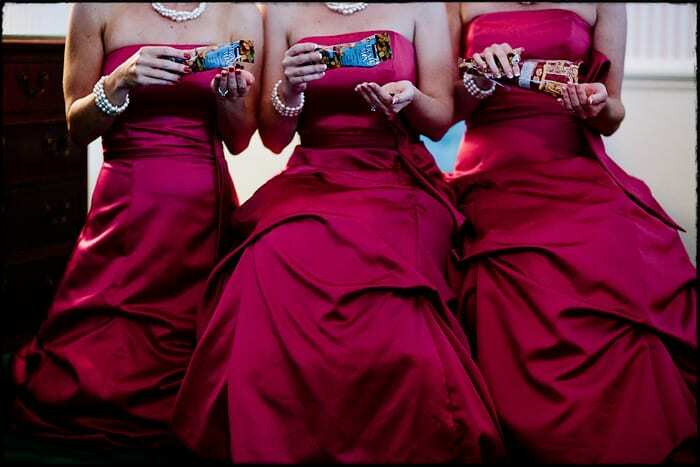 While documenting the bride, her family, and attendants getting ready for the afternoon, I turned and noticed three bridesmaids taking time for a quick snack. The bright red dresses, the bags, and the repeating patterns of their hands made for a great detail photograph. The fact that there are three ladies on the chair certainly helped the composition of the image.